Want to learn more the historical, cultural and environmental role of the Agua Fria watershed? Black Canyon Heritage Park offers you this opportunity with their “Water, Black Canyon City & Me” program. 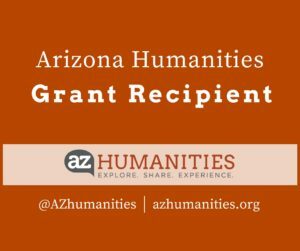 This project is supported by a grant from Arizona Humanities. July 24, 2019, 5:00 PM to 8 PM "Arizona Well Owner Workshop" at the Cañon School (map), 4630 School Loop Rd, Black Canyon City, AZ 85324. Follow our calendar and facebook for updates. Topics include the placement, installation and registration of wells; why and how to get your water tested; home water filtration options, and more! A free book on well care and a flash drive containing well information is yours for attending. For more information and to register,CLICK HERE to be sure you get the free book.. Check our calendar for upcoming events, details and updates - https://blackcanyonheritagepark.org/calendar/. For more information: email waterways@blackcanyonheritagepark.org or call Lani Lott, Event Coordinator, 602-738-8381. What: See migrating and resident wildlife attracted to this delicate xero-riparian area. Offered by the Friends of the Aqua Fria National Monument in support of our Water/Ways program. For more details and to registration, Click HERE. When: Saturday, May 1, 1 to 2 PM. What: Enjoy a splash of fun with water activities and experiments! Good for all ages! Part of the Summer Reading Program "A Universe of Stories!" http://www.yavapailibrary.org/blackcanyon. The library offers this event in support of our Water/Ways program. Water/Ways has been made possible in Arizona by Arizona Humanities and the Walton Sustainability Solutions Initiatives and School of Historical, Philosophical and Religious Studies at Arizona State University.